I'm really excited to finally sit and write this blog post, and I feel like now is the perfect time. 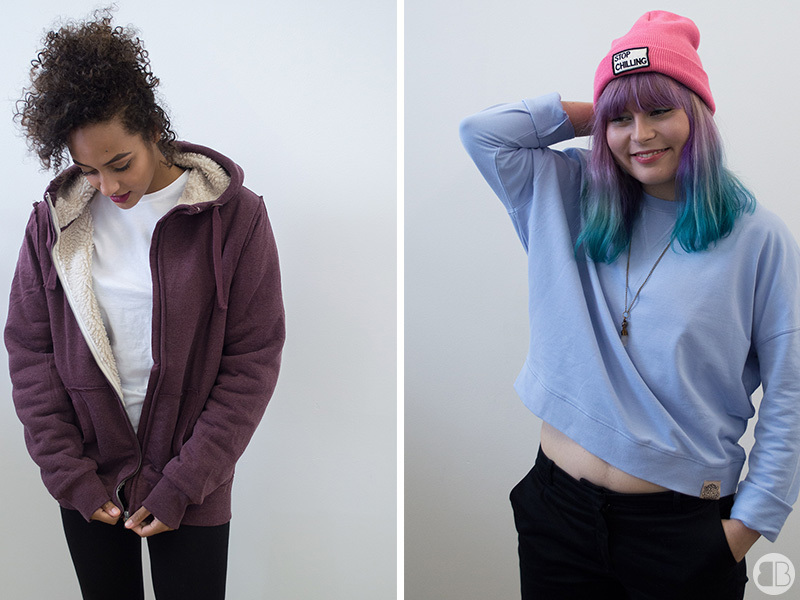 I work for a ethical clothing company, who only use Fairtrade certified cotton for all of their garments. 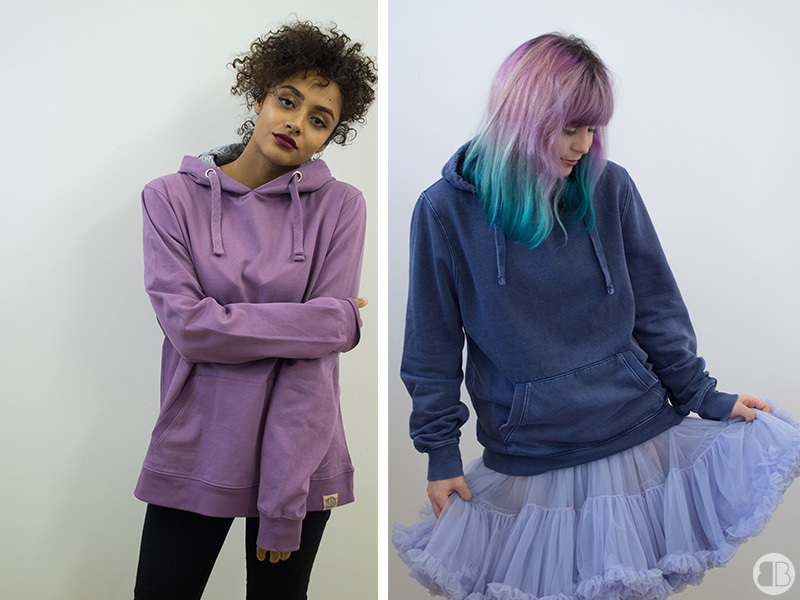 I've actually worked here for just over 2 years, but today we launched our very own ASOS Marketplace boutique, something that I've worked incredibly hard on the past few weeks in particular. I wanted to keep this post relatively short, as the main thing I wanted to share was some of my photography (something I'm super proud of!) 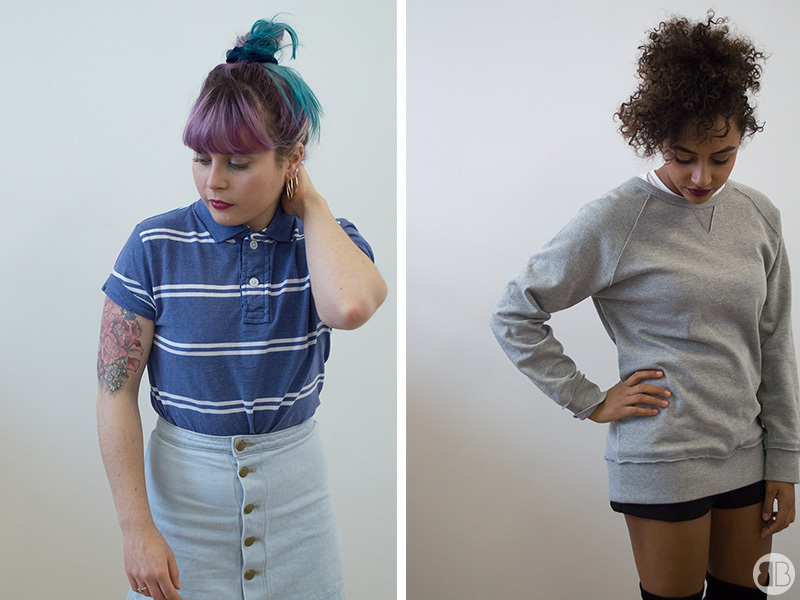 and the awesome garments that you can now purchase via the new boutique. 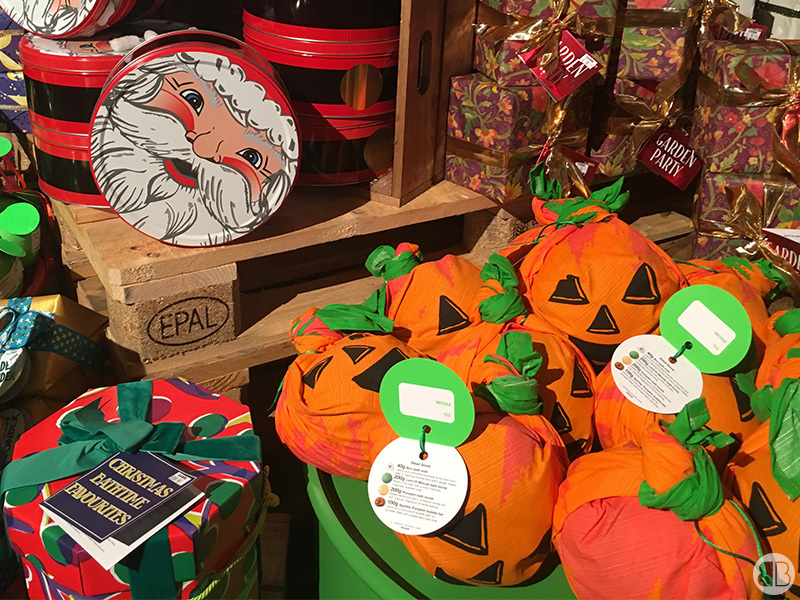 Remember, everything is made using Fairtrade certified cotton, and not only is Epona Fairtrade but they are also members of the Fair Wear Foundation which works with factories to ensure good standards also. Epona is constantly looking for improvements in all areas of our production line, one of very few companies that are focused on this entirely. I'll likely do a lot more work related posts, as it is a company I'm very proud to work for and I'm excited to share a lot more ethical related posts with you all. If you have any particular requests drop me a comment below and I'll add it to my to do list! I could have quite easily picked 50 of my all time favourite films, but I like to challenge myself so I limited myself down to 5. Initially, I immediately thinking of the 'best films' of all time rather than what films I actually consider to be my favourite. The point is, when you're writing about your personal favourite films theres no 'correct' answer, as theres so many factors that can contribute to a film becoming important to you, so that's exactly what this list is. These are in no particular order, it was hard enough just limiting my choice to 5 let alone putting them in order too! 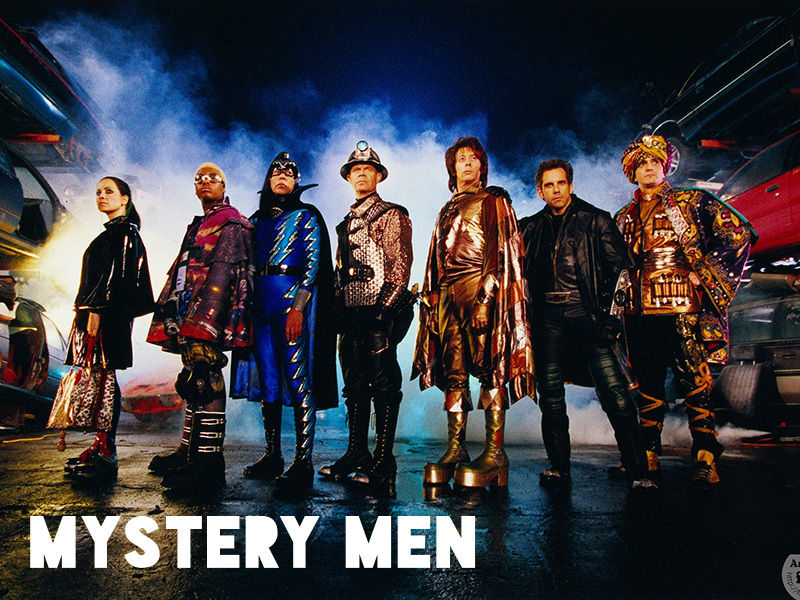 Mystery Men (1999) is one of the earliest films I fully remember seeing at the cinema and falling in love immediately. I was only 8 years old when this film was released and it's held a spot in my favourite film list ever since, and something I throw on the TV if I'm ever having a really rubbish day and need some cheering up. The film follows a group of amateur Superheroes, try and save a major superhero and their city from a super villain who wants to destroy it all. Of course with them being amateurs, they are really quite rubbish so the film is hilarious but still has a good story, I mean who hasn't dreamt of being a superhero at least once? Serendipity (2001) is not only one of my favourite films but also one of my favourite words, so much so that I have the word tattooed on my ribs. I truly adore this film, it's one of the very rare films that can make me cry and I always end up feeling happier by the time the ending credits start rolling. 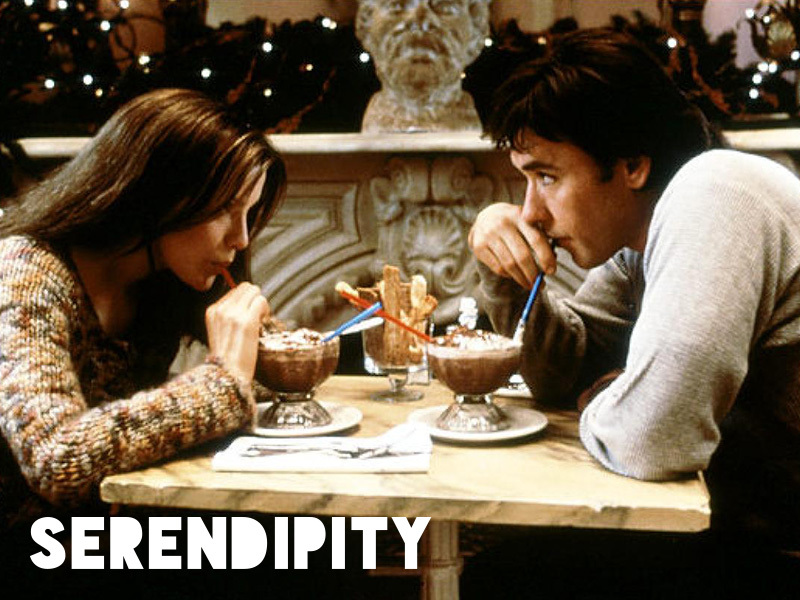 Serendipity as the film eloquently explains, "it's such a nice sound for what it means: a fortunate accident". I also love the idea of meeting someone and the timing not being quite right, but finding yourselves together again years later and it working out that time round, something about that is just magical to me and that's the kind of love story I like! The picture above is from a scene in the movie where they are sat in a restaurant called Serendipity 3 - a place I really want to go to (I managed to stand outside it once but the picture that developed was so bad you couldn't make anything out). Hopefully I'll be able to visit New York next year so I can finally step inside it's doors. Oh and this film is also one of my favourite films to watch at Christmas time, so much so that it's tradition to sit and watch it with my Dad every year in the lead up to Christmas. 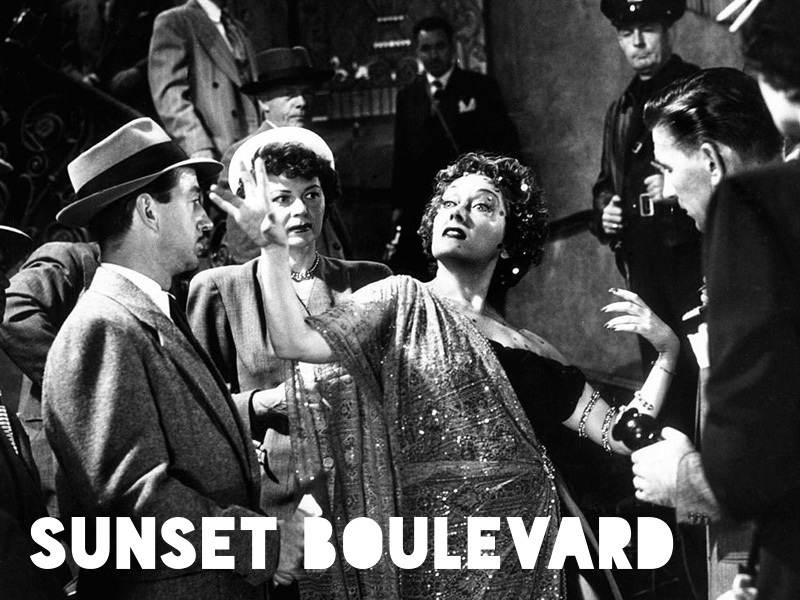 Sunset Boulevard (1950) is the only black and white film to make my top 5 list, this film is just incredible. The story is wonderful and the way it's shot is absolutely beautiful, it's not only one of my favourite films but it's also my favourite film noir. Gloria Swanson who plays Norma Desmond is just absolutely enchanting to watch, even if she's quite haunting at times, I just couldn't imagine anyone playing her role any better. She's a fading film star who has faded into Hollywood obscurity and he's a screenwriter writing a screenplay for her big comeback. It's a great story and I always find myself glued to the screen whenever this film is on, it's a story everyone can find something relatable in, which is probably why it still works so well even 60+ years later. 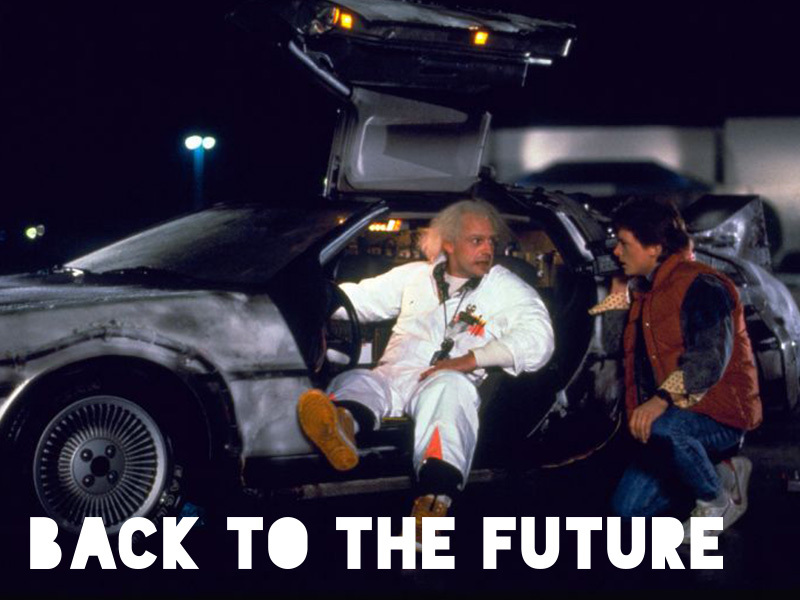 Back to the Future (1985) is probably one of the very few film trilogies that I can watch over and over again. I'm sure like many others, the idea of time travel is amazing and definitely something I've day dreamed about a lot, it's probably why so many people love these films. I've put the first of the three into my list just purely for the reason that it had a huge impact on me, seeing that DeLorean for the first time, the crazy scientist Doc Brown and of course Marty McFly. It was all so crazy and exciting, even if the special effects aren't so great when you watch them now, but that's the beauty of the film, it doesn't actually matter, it just somehow adds to the overall charm of the movie. 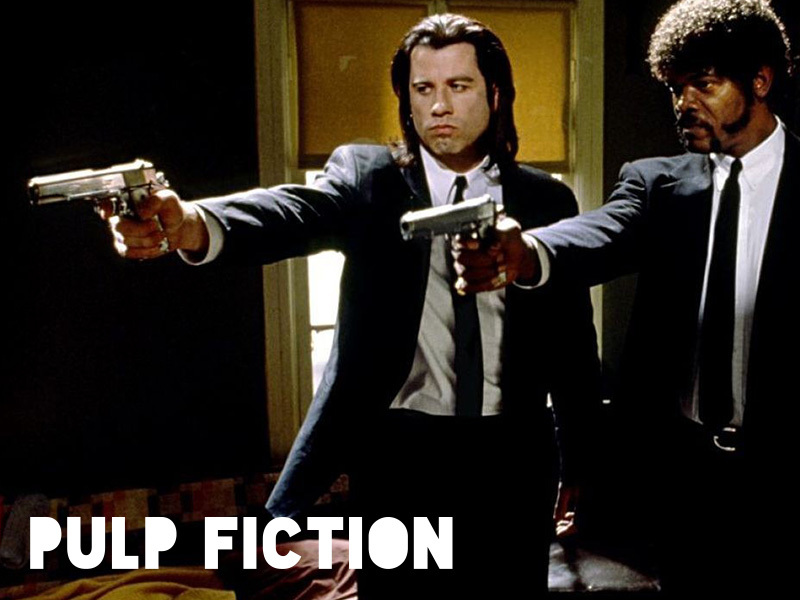 Pulp Fiction (1994) might be the only film on this list that would have made it into my top 5 best films too, it's just absolutely incredible. I'm a huge Tarantino fan and I've always loved the way he creates his movies, the way it's shot is impeccable. One of the things to note about this film, is the order in which the story happens, it's very important to pay attention throughout as otherwise you may end up confused or miss little key moments. The film isn't in chronological order, and it's probably one of the things that makes this film work so well, I'm not sure if I would have enjoyed it as much if it was in the 'correct' order. In short, this film is about 4 stories of violence/redemption which are all intertwined, the film also has it's funny moments which adds to making this film stand out against other films in it's genre. 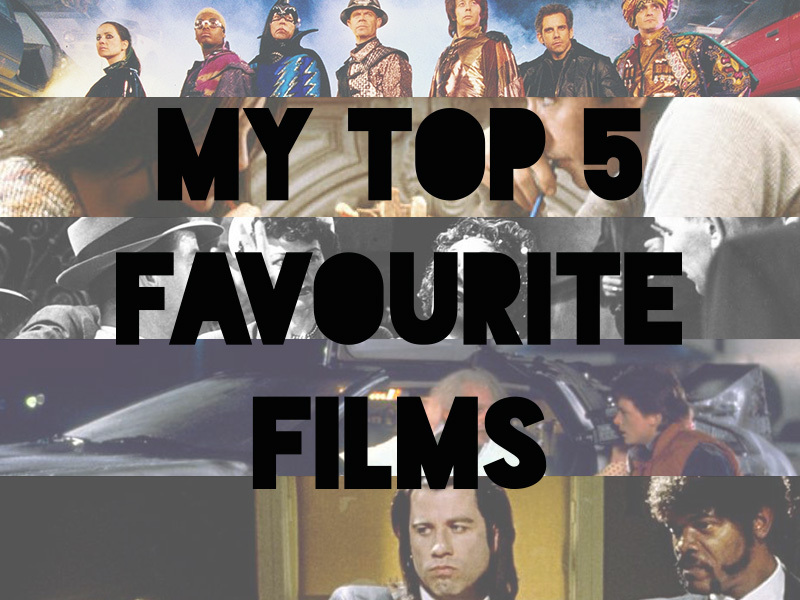 So, those were my 5 favourite films of all time, what would your top 5 be? I'd love to see what everyone lists as their favourites! 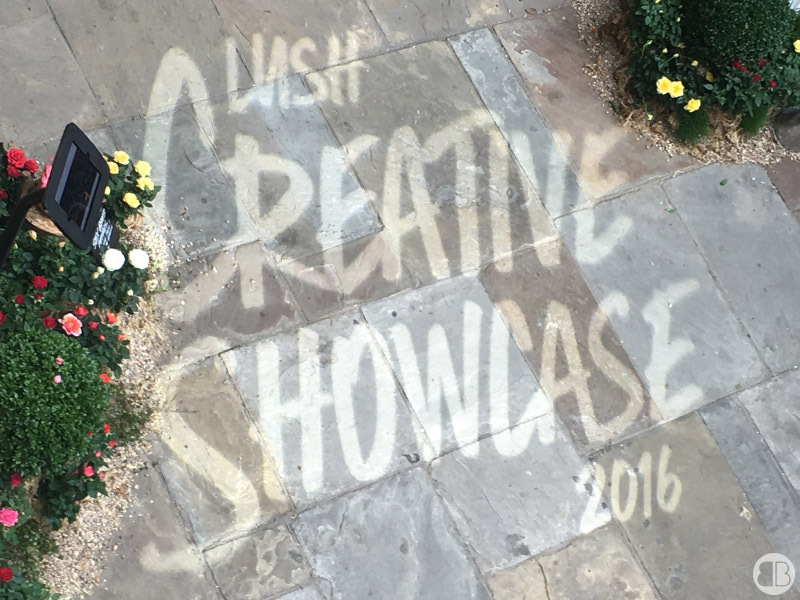 On Tuesday I headed down to the Lush Creative Showcase, it's in one of my favourite places Tobacco Docks so based on that alone I was excited. 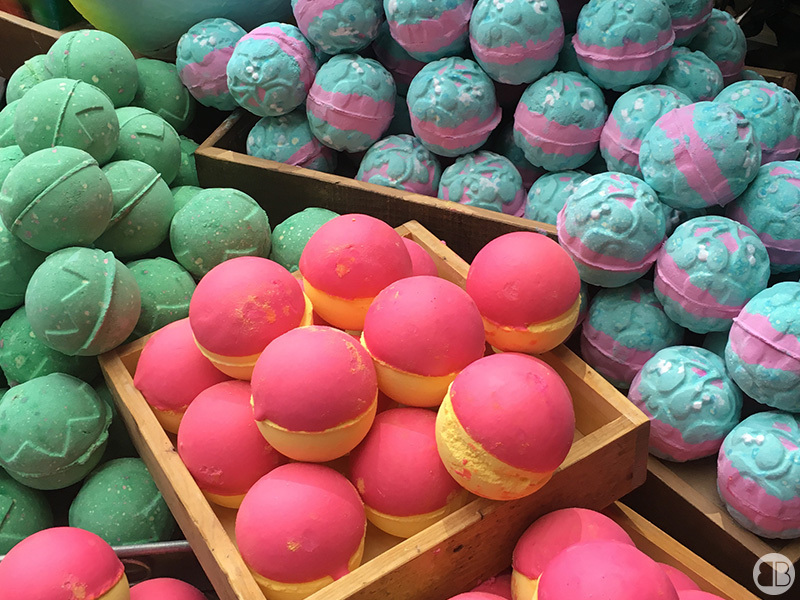 Just walking down to the venue you could already smell the 'lush smell', you know the one, the smell that hits you and you know theres a Lush within walking distance somewhere! I headed inside, collected my wristband and was informed about an app where there was a chance to win a prize by finding all images dotted around the venue. Straight away, the app did not work, every time I scanned the image and had the little animation, great, until an error message would come up so it didn't actually register any of the ones I found - I pretty much gave up shortly after as it was rather annoying! 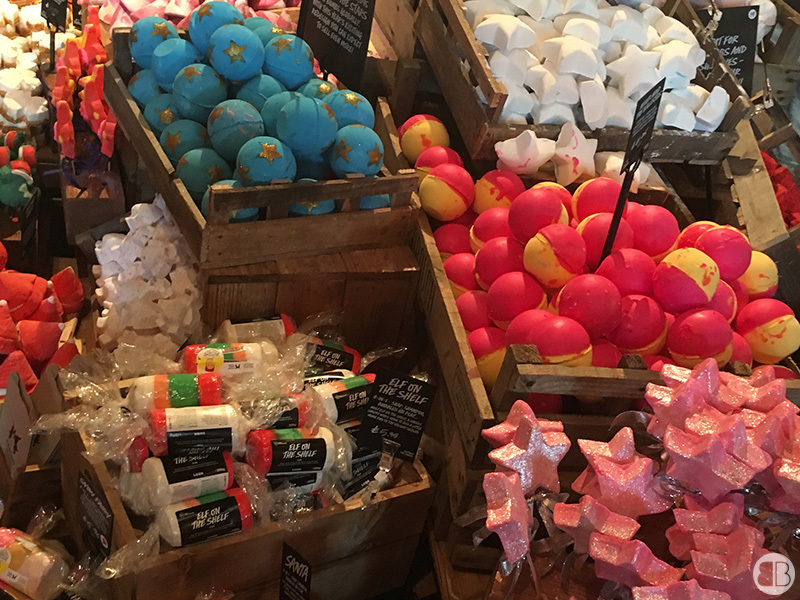 But, at least I got to look at all the pretty lush stuff! I decided to explore the entire venue, expecting I would wander back to various sections, however sadly, I didn't find myself wanting to head back to certain areas. Why? 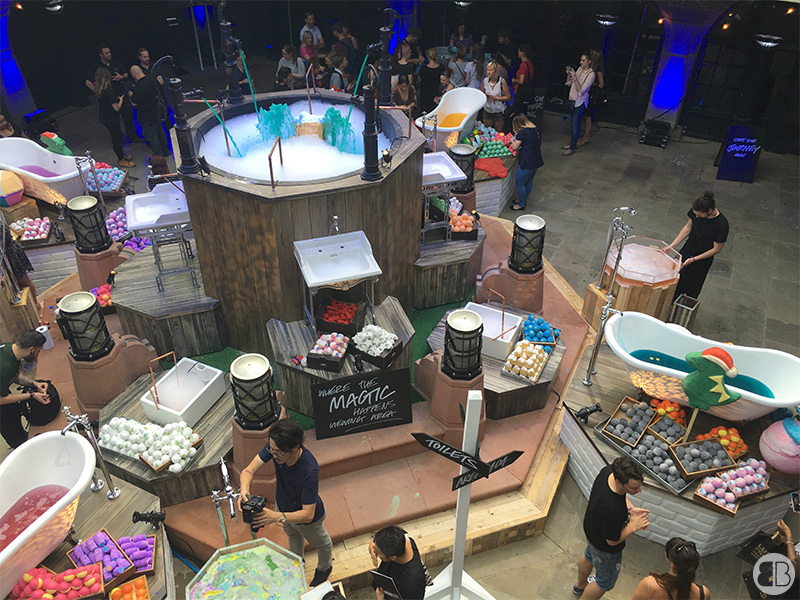 Well the whole event felt more like a shopping experience rather than a creative showcase, maybe it's due to expecting something entirely different ended up leaving me rather underwhelmed. Don't get me wrong, I did enjoy taking a look through all of the new products it's just that I expected to less 'shopping opportunities' and more creative areas where you could make or watch people make the products etc. 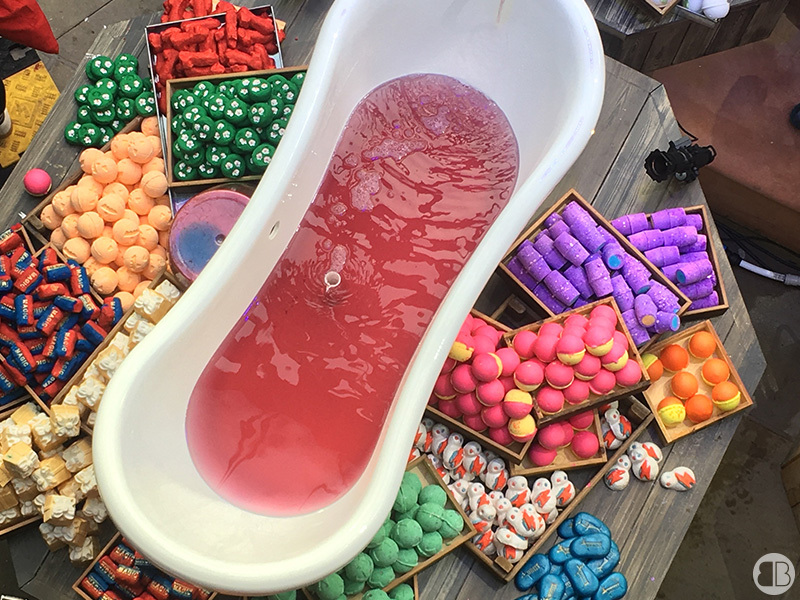 On the cooler side of things, they were making Shower Floss which was pretty cool to watch (basically Candy Floss that you can use as a scrub in the shower) - it smelt incredible and was actually really interesting to watch being made. Did I mention it smelt amazing?! Another great part was all the lime perfumes(? 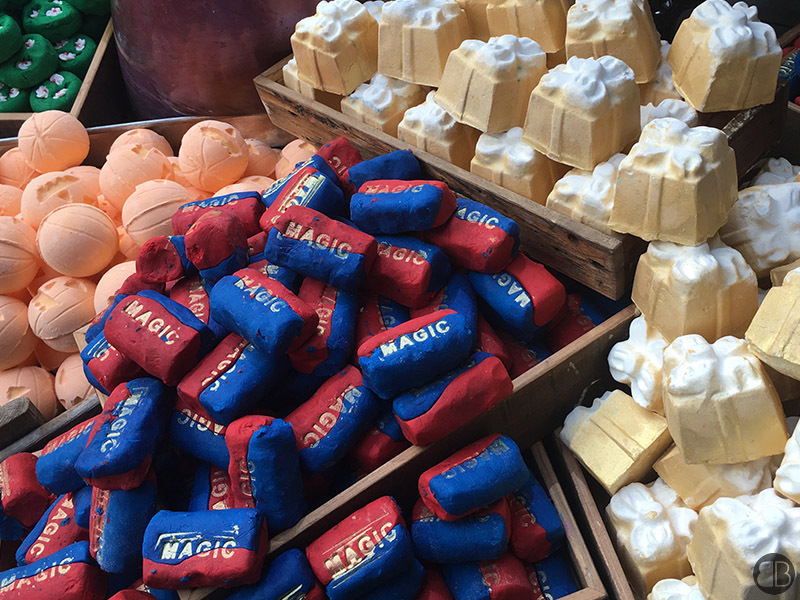 ), I seriously love the smell of those and I really do hope I'll be able to purchase that in the future as it made me super happy inside! By this point, I'd explored everything and I'd also definitely smelt everything I was wondering what else was left. Maybe I should have stuck around for the talks, maybe thats where I would have had that creative element I was craving, I'm not sure, all I did know was that the smell was growing increasingly unbearable so I ended up leaving. I'm a little sad I didn't attend any of the talks but I think I wouldn't have enjoyed them much with such a bad headache! 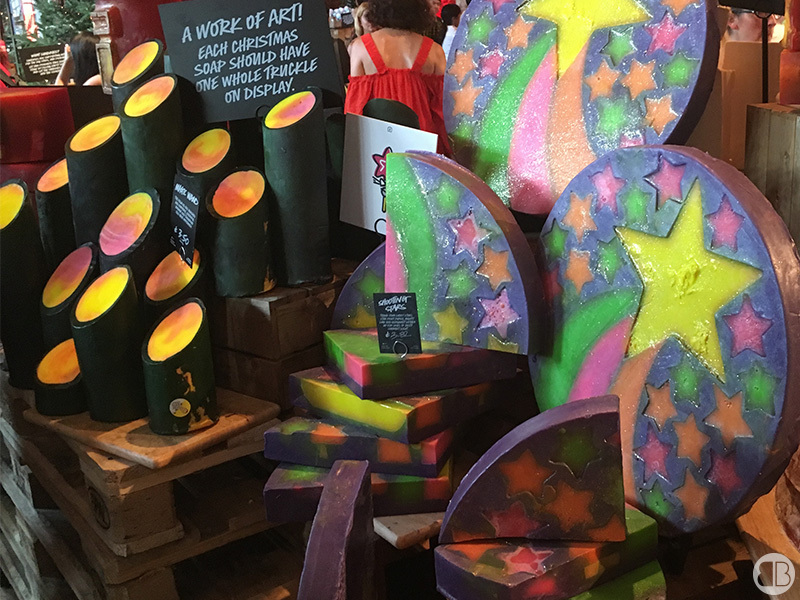 All in all, I still absolutely adore Lush, it's a wonderful company and I really love seeing the products they create, I just don't think the event was for me this time! But that's ok, I'll still spend a ton of money in their stores, only difference is that this year I will have already seen most of the new stuff before the general public! Did you go to any of the talks? How did you find them? What was your favourite part of the event? Drop a comment below as I'd love to read about your experience, I'm hoping I just went at a bad time/should have just went to the talks etc! 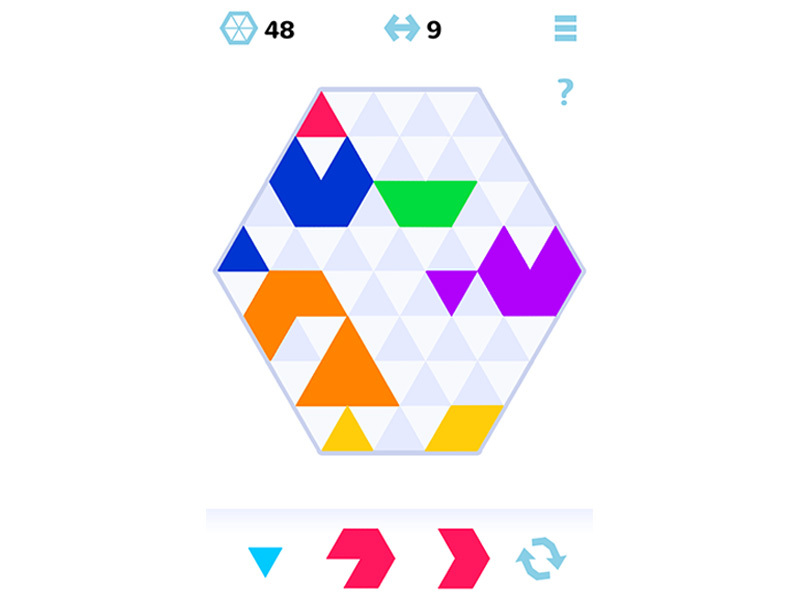 Colour 6 is a very simple yet addictive game. I always like having a few simple games available on my iPhone for the times where taking out my PS Vita just isn't worthwhile, games that I can pick up where I left off easily without any confusion. Like I said above, the game itself it very simple, you get given a selection of 3 pieces at a time that you need to place into the hexagon, each time you insert a piece you're given another one. 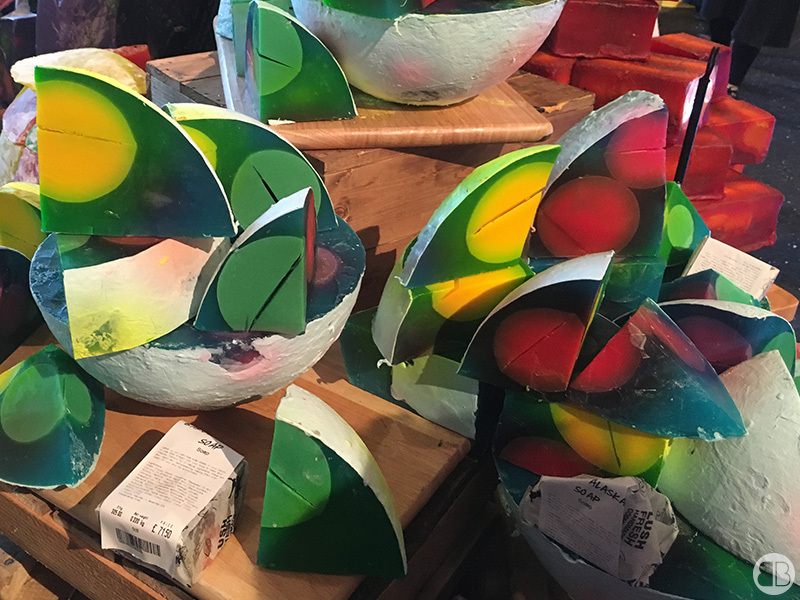 The shapes are all built using triangles and your aim is to create small hexagons (6 triangles) of the same colour - once you do this the hexagon will disappear to free up some more board space. 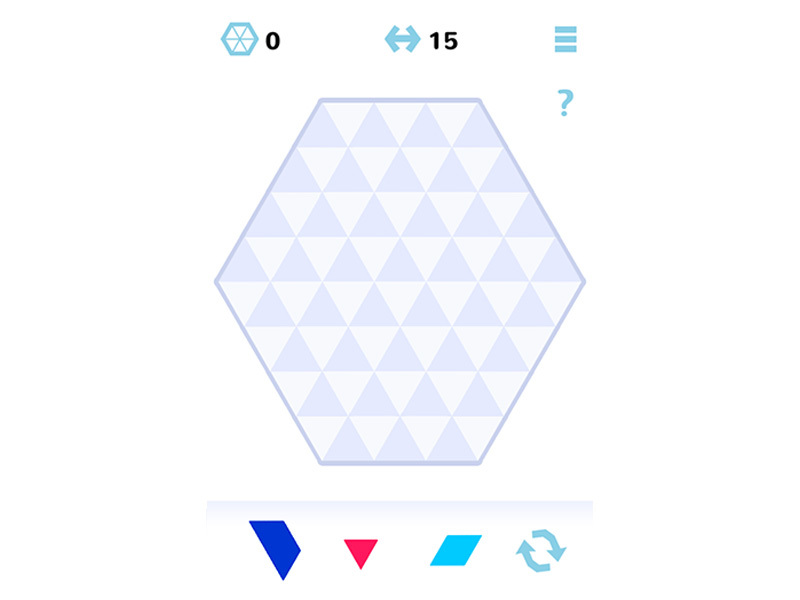 All you need to do is create as many hexagons as you can before you run out of moves and attempt to beat your high score each time you start a new game. I'll post some screen grabs of the game below so you can get a better feel for what the game looks like. I was actually asked on the tube by someone who wanted to know what game I was playing, so it's obviously not just me who likes to have to have nice, simple and calming games to play on their commutes. That's actually one of the things I like most about the game, it's calming, as someone who suffers with anxiety, it's nice to have something I can focus on that isn't stressful which isn't something I can say for some of the other games I play! 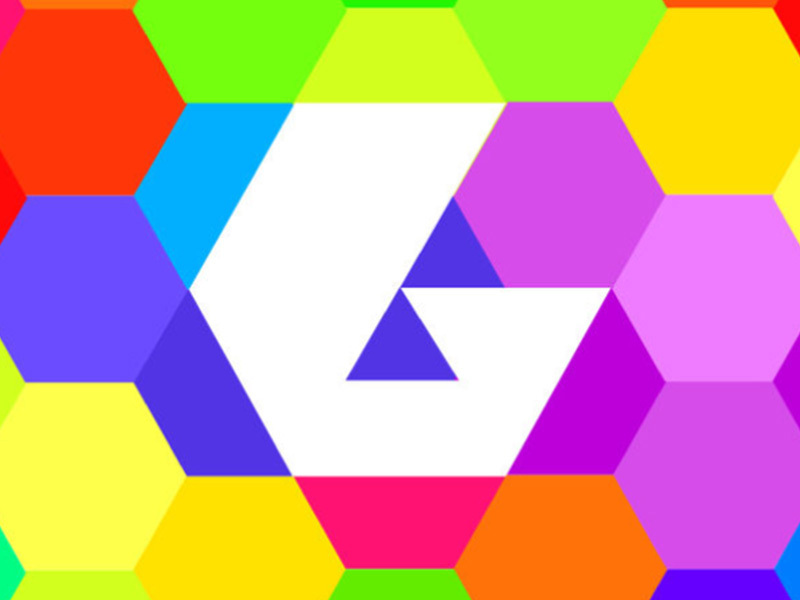 You can download the game via the app store HERE. As far i'm aware the game isn't currently available on Android - but please let me know if i'm incorrect! 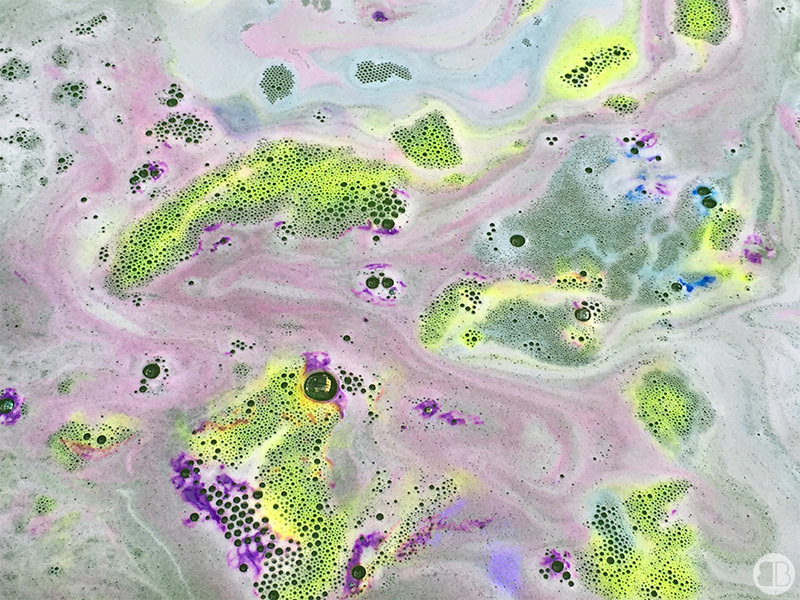 Have you played Colour 6 or do you think you'll try it out? 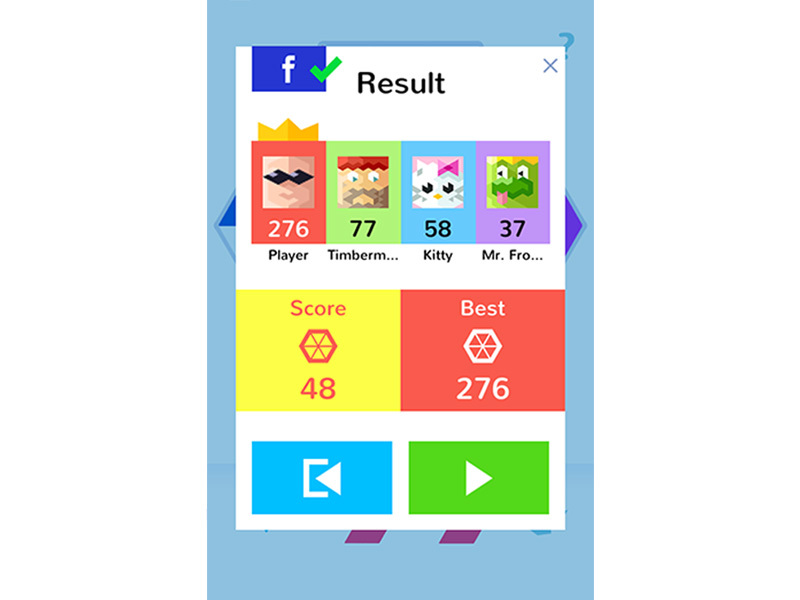 My high score is currently 276, so I'd love to see what your high score is and whether it beats mine or not!